How likely are you to build a product if 100 people pre-paid for your idea (course, tool, hardware/software product) before you built it? If you answered, Very Likely, here is why I wrote this guide. 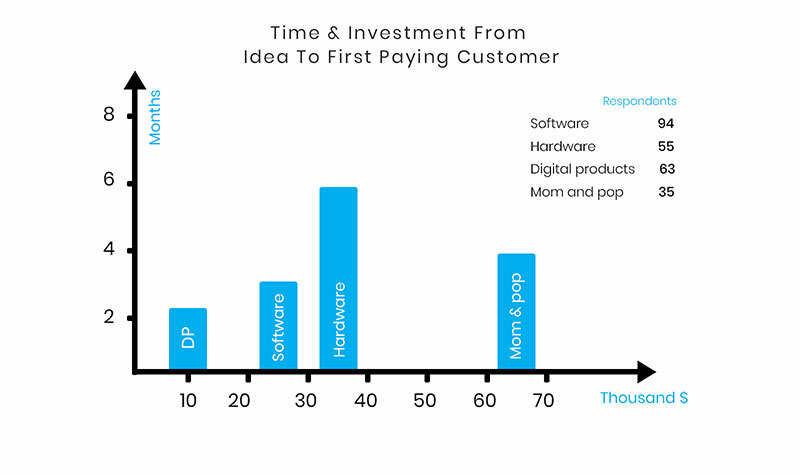 How much money and time did it take you to go from idea to first paying customer? Entrepreneurship is very uncertain. None of the resources you have can guarantee that your upcoming product is going to be a hit. 9 out of 10 startups fail and most of them don’t make it because of lack of market need. Validate your ideas before you invest a single dime. Fund product development with the money you earn from pre-sales. Build a product people need. This guide is written to take you through the pre-product launch journey step by step. However, everything starts with an idea. Instead of assuming you have your idea figured out, in this part, you’ll find a quick framework for defining problems worth solving, aka ideas. Audience is the biggest determinant of the success or failure of pre-sale campaigns. Your audience is not only going to help you fund the initial phase(s) of your product but also build a solution that they need and will use. Follow the steps in Part 2 to build and nurture an audience whether you’re planning on launching a pre-sale campaign or not. How and when to pitch your audience? What are the key steps to a successful pre-sale campaign? What to do after the campaign? In this part, you’ll also find everything you need to do from idea to launch and after. This part is divided into two subsections. The first subsection includes stories from entrepreneurs who pre-sold products and services. The second subsection provides you with a framework that you can apply to build an audience, validate ideas and generate revenue through pre-sales. Pre-sold $202,000 worth of gym memberships within 14 days. Generated over $2,000 just the first week he launched Snappa. Ran an experiment with 84 people to validate the concept of Task Pigeon before building the product. Pre-sold $41,000 worth of services with just an idea and a promise. Pre-sold $2,000 worth of advertisement banners for local businesses before creating the web app. Before I share with you the simplest idea generation framework you’ll find on the web, let us first define ideas. What does it mean to have an idea? An idea is nothing more than a solution to a particular problem. When you pursue ventures in areas that interest you, you’re much more likely to last. I spend so much time managing multiple social media accounts. I don’t have time to cook and I can’t afford eating outside every day. I wasted months and over $10,000 taking my first e-commerce product from idea to the first sale. Select the problem with the most urgent needs. From your close circle of family and friends (online and offline), find 10 people that seem to be facing the same problem. Tell me about [social media management, meal management and cooking, e-commerce, etc.] – whatever you selected in step 2. Have you faced major issues with it? How have you managed to solve those issues? Do those solutions work well? anything else you wished you had? Can you recommend to 1 or 2 of your good friends I can meet to discuss the same thing? Meet the referrals and continue to ask for recommendations until you can clearly define the problem that the majority of people are facing. This problem could be different from what you originally thought. Keep the contact information of the people you interview. While many social media management and scheduling applications save time, someone still has to create and schedule the content. The problem is in the time and money needed to create what will be scheduled and shared. While some applications and restaurants save you time by delivering your food to where you are, it’s still expensive to order. While there are some courses that can teach you how to sell e-commerce products from beginning until the first sale, the courses are either too general or too expensive. Third, find a solution to the identified problem. The series of interviews you conduct in the previous step should give you a very clear idea about the solution. Introducing a solution, if it’s not obvious at this point, starts by constraining it by the roadblocks you identified from your interviews. In our first example (social media management), the roadblock is time and money creating and scheduling social media posts. Another roadblock could be the skills needed, like design and marketing skills, to create the content. 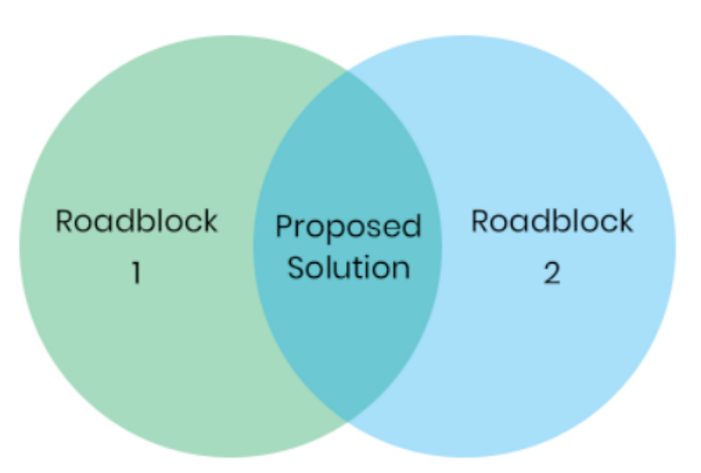 In our second example, the roadblock is time and money. In our third example, the roadblock is money and guidance. Write 2 to 3 ideas. Reach back to a sample (30-50) from the people you interviewed in the second stage to discuss the best solution to the problem. Before we start Parts 2 and 3, here’s what typically goes wrong in Part 1. You make assumptions too fast. Just because you’re facing the problem, you believe others will face it too. You start building the product before listening to your buyers. Instead: Spend quality time interviewing others. Let them lead you towards the right path. After all, they’re the ones pulling money out of their pockets, not you. You ask Yes or No questions. Instead: Most of the time, people will agree with you but when you ask leading questions like the examples above, you will get the best insights. Instead: Acknowledge that there is no such thing as the perfect solution. If it solves the identified problem, release it. You spend all of your time seeking investment; you condition your execution on funding. Instead: Investors don’t fund ideas. Rely on your resources to take the business to a fundable level. 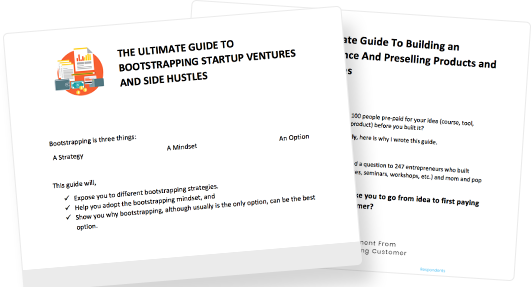 Here’s a guide for bootstrapping (self-funding) startup ventures and side hustles. I’ve also included a PDF copy of this guide. You get lazy and stop. You underestimate the time and hustle it will take to get results. Instead: Overnight success takes 5-10 years. Think long-term and don’t expect results soon. 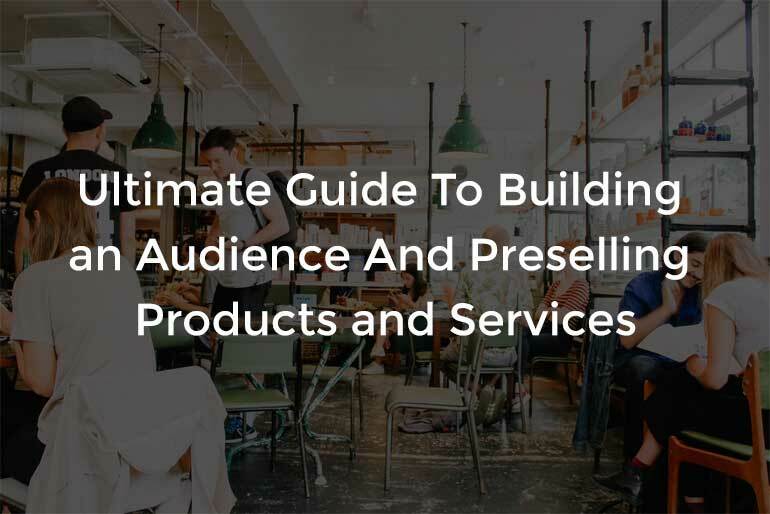 The examples and frameworks you will hear and learn in this guide, can be applied to building an audience whether or not you’re planning on pre-selling a product. With that in mind, let’s get started. Building a network of people that trust you is key to a successful pre-sale. To build a network, start with 10 people that trust you and ask for intros to others with the same level of trust and respect. Leverage social media to build momentum and create a snowball effect. All you need to pre-sell a product is how it will look and function when it’s built and ready for use. Execution occurs place before building the product. Content marketing is key to building the audience and validating the concept before launch. Releasing a super simple version of the product helped us gather feedback quickly and define the top 3 most critical features. In terms of seeking feedback, people you know will most likely have biased opinions. You don’t necessarily need to pre-sell the product to validate the concept. Sometimes, people taking the time to go through the registration steps is a strong validation signal. Spend most of your time giving to the community before asking. Building an audience is at the intersection of collaborations and content. Even highly competitive industries have long-tail markets, an underserved yet lucrative niche. Leverage the power of influencers by being of value to them in a way that helps them achieve their goals and yours. Interviewing people with audience helps you build relationships and a network effect. Pre-selling products and services starts by defining the end goals of key stakeholders in the transaction. Your first paying customers will rarely find you. It’s your job to find them. Even if you have the funds, always be testing hypotheses (ideas) with available and free resources. Condition the first execution stage(s) plan to the unavailability of the product. For (target customers) who are dissatisfied with (the current alternative). Our product provides (solution X) unlike (the competition). List the 3 biggest problems you want to solve. Interview 10 people that seem to be facing those problems. Learn about their needs, alternative solutions and expectations. Focus on the biggest problem. Use the value proposition format to write yours. For first time founders and aspiring entrepreneurs who are dissatisfied with lack of funding, lack of confidence, fear of losing their savings from startup failure, our 6-months program provides a personalized roadmap for each entrepreneur to help them self-fund their ventures and reach their 6-months goal through pre-sales and multiple bootstrapping strategies within a pre-determined period of time unlike books and courses that offer standalone information without guidance or expert involvement. For firewood buyers and sellers who are dissatisfied with local firewood markets, our product provides an online marketplace that matches thousands of buyers and sellers within a few seconds unlike current markets that are limited in firewood options and availability. Whether you are running or building an e-commerce, course, SaaS, marketplace, freemium, or any other product, if you don’t have a target user/dollar amount in mind, you don’t have a plan. Once you set your target amount and buyers, the next step is to work backwards. Whether you are building an audience to pre-sell a product or a service, for awareness, growth, or to introduce products in the future, follow these steps. As you’ll see next, you don’t need all of those channels. First, decide where you will gather your audience. Typically, your audience should go where your product or service will be sold or pre-sold. In most cases, it’s a website (email list). Kale Panoho didn’t have a website and yet, pre-sold over $202,000 worth of annual subscriptions. This is an example of a venture that didn’t necessarily need web presence aside from social announcements and sharing. As a rule of thumb, if you are building and selling software or hardware products, a website, or just a blog, is a must have even if most of your pre-sales come off site. Almost everyone checks the online identity of a company/product before making a purchase. 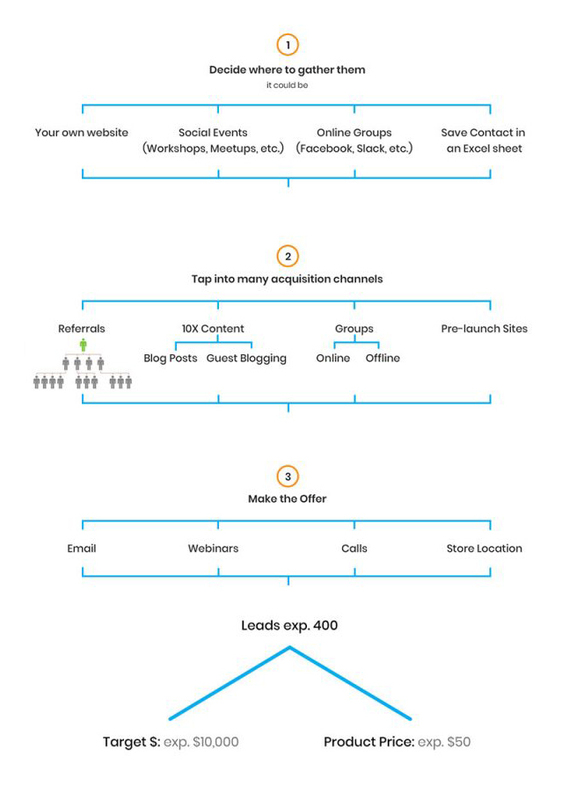 The website is also one of the biggest acquisition channels as you’ll see in step 3 below. Other gathering channels include social events, online groups and/or simply create an excel sheet with the contact information of your potential buyers from your personal outreach. Your audience will tell you where and how they want to be reached. Second, to build and nurture relationships with your audience, tap into many channels but focus on the highest converting, aka where and how your audience wants to be reached. List X number of people (5, 10, 15, 30, etc.) you know that fall under your target buyer segment. The more people you can find, the better. Reach out for a quick chat to understand their expectations from the product and to seek their referrals to others (as little as one person) with the same level of relationship you both have. Reach out to the referred people and follow the same process over and over again until you reach a reasonable number that can get you to reach your target pre-sales amount. The more expensive your product is, the more people you need and the more personal your relationship with them should be. Invite their Facebook friends to your Facebook page or group. Tweet, Facebook, Instagram share and/or email their friends and family about the product. Mention your product in social media groups. Etc. depending on your product and audience. 10X Content. There is always something to learn whether you’re selling e-commerce, digital, hardware, consulting or other services. 10X content can help your audience in many ways and gives them a reason to trust you and your product. Christopher Gimmer talked about how content marketing helped him build his business by attracting the right people to his website and blog. The quality of the content kept them coming back and eventually turned into paying users. Chris also mentioned the success story of Buffer where the founders spent most of their time writing blog and guest posts way before their product was ready for use. This path to market strategy helped them build a big list of potential buyers that ended up paying for their social media management app when they launched it. Blog posts: Take the example of this guide. Based on my experience from other guides with the same level of content value, I suspect that it will provide some useful insights or direction to a few thousand entrepreneurs this year alone. I also suspect that a thousand entrepreneur, more less, will be interested in coming back to find more content like it. For those founders, I provide supplemental material like the one below, I ask about their questions and expectations to define the next topic as I did with this one, I give priority access to products and services, I make referrals and do everything I can to be of value to their ventures. The point is, if you invest time to solve problems, your audience will trust you especially if you provide 10X the value you seek in return. Content marketing (writing guides) is one of the best and most common ways to start sharing this value. Guest posts: One of the fastest inbound marketing* strategies for building an audience is by tapping into the audience of someone else. To use an example, right after the guest post I wrote for Logojoy went live, two readers joined EntrePerks.com. Furthermore, my guest post for Ryan Robinson exposed my content to a few thousands of his readers which got me introduced to a bigger audience, a big percentage of which kept coming back to learn more. Once you list your target publications/blogs, you’ll find that most of them have clear requirements for submitting a guest post. If it’s a known blog with a big audience, unless you’re a known in the space, most of the time, you will not hear back. For this reason, striking a conversation with the blog owner or editor before hand is a big plus. To gain their attention and start a conversation before making your pitch, follow them on social media, like, comment and share their content, send them a personal email, and ask others to refer you to them. This will differentiate you from others’ cold emails. *Inbound marketing involves attracting people to your product or website because of the quality of the content you share like blog posts, free tools and others, while outbound marketing involves advertising to attract attention using social media and search engine ads, radio, sponsorships, etc. Social Groups. Online or offline social groups like meetups, Facebook and Slack groups where your target hangs out is another extremely important channel for building and nurturing relationships with an audience. Ask for feedback, example: Hey guys, I’m working on a product that [solution] and I’d love it if you could share your feedback with me. Private message the most engaged members and ask for a quick call or chat. Invite them to your group, website or simply keep their contact information depending on where you decided to gather the members. Ask them if they could refer one or two people that you can contact to have the same conversation. If you invest in creating a website and 10X content, one of the strategies I found very effective is when you seek the interest of group owners for an interview that you can feature in one of your next guides. The interviewee is very likely to share and promote the post to their followers which serves as an invitation to visit your site and join your network. Another way to build an audience. Offline Groups: Although they tend to be smaller than online communities, they’re much more engaged. You get to shake people’s hands, look at them in the eye, build a relationship with them and follow the same referral process as above. The more valuable you are to the community, the more valuable the members will be to you. As such, hosting or sponsoring an event, bringing speakers, organizing sessions that address their questions, and negotiating deals with third parties that benefit the group are some of the things you can do to build awareness and an audience. Here are the steps I followed for the last local event I organized. I attended the last 4 meetings of the two biggest entrepreneurship organizations. I approached the presidents of these two organizations with a proposal to organize a free half-day workshop to discuss one of three topics I suggested we get the opinion of the members about. Upon their approval, I reached out to a few industry leaders to join us over Skype during the workshop. I created a landing page for the workshop to promote it and seek members’ contact information for updates and to send them all the material we discussed in the event afterwards. Starting 2 days before the workshop, every day, I prepared a tweet, Facebook and LinkedIn post that I sent subscribers to share with their network. This helped us reach a few thousand more people and close to two hundred subscribers. Pre-Launch Sites. Depending on your product, pre-launch sites can contribute significantly to reaching your target audience. Ship by Product Hunt, BetaList.com, BetaPage.co, LaunchingNext.com, SignupFirst.com are some of the beta sites that allow you to post your startup and seek potential users’ interest in joining your beta list. Paul Towers gathered a lot of insights about his startup Task Pigeon from the subscribers he reached through BetaList. You’ve seen many channels and sub channels that you can tap into to build your audience. What will make a difference between reaching your target in a week, month, 6 months or year is how realistic your target is and how much effort you put into reaching this goal. Therefore, first, start with a realistic goal whether you’re looking to fund the first phase of product development, get the green light to pursue the venture or boost sales for existing products. Second, set a challenging yet manageable timeline to achieve this goal so that you work hard enough but not too fast to skip and burn stages. Building the audience is the lengthiest part of the pre-sale process. When you build an audience and engage with them, you will get another opportunity to refine your product pitch, that is, you will learn how the product should look and function so that you can increase the odds that it will be sold when you pitch it to them. For existing products and services, you will learn more about pricing, features and perhaps complementary products that you can offer. The pitch typically takes many forms depending on your product and audience. Here are the most common channels. Email. This is the most common launch channel for big, small, expensive and inexpensive products and services. In fact, whether you decide to focus on webinars, calls or physical locations, email should be one of the channels you leverage to announce and remind your audience. Product launches for pre-sale, to introduce new products or services or to re-introduce existing products to a new audience typically takes the form of multiple emails starting a day, two or three before the cart is open and ends a couple of days later to make sure you provide your buyers with all the information they need to make an informed decision. In the supplemental material of this guide, I have included an email sequence that helped me raise a few thousand dollars in pre-launch for different products. Use it as a reference to customize your own sequence. It’s important that you keep your audience in mind because if you have built some form of personal relationship with most members, you may not need to send many emails since they should know what you are working on and how it will benefit them. In this case, you may only need to announce the upcoming pre-order day, the day or two of cart opening and a day after as a reminder. Webinars. 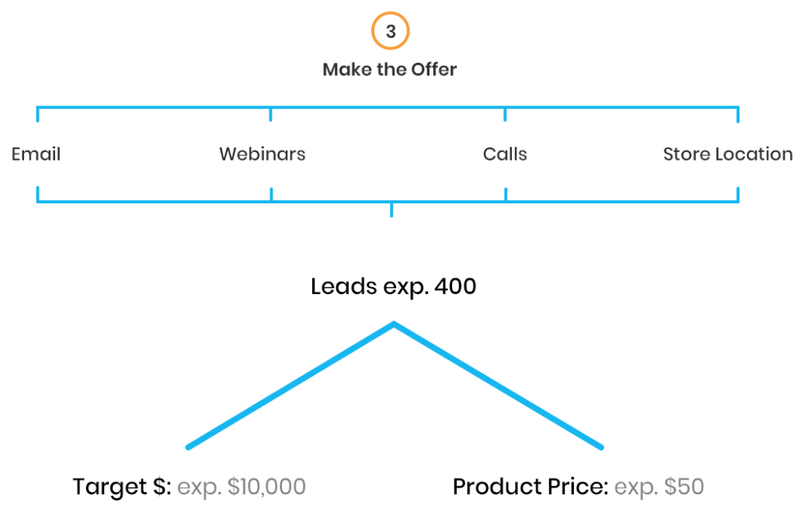 If your product is at a relatively (to existing solutions and target typical spending) high price point, webinars are a much better way to convey its value proposition, answer questions and sell the product. You don’t need a webinar. A webinar will increase your likelihood of selling the product because people will see and speak with you, trust you and thus are more likely to bet on you. Calls. Especially at the beginning of your venture, pick up the phone and call your audience even if it takes 500 calls to reach your target revenue amount. For those who don’t buy in response to your emails or webinar, ask to schedule a quick call to discuss if there is a fit. Selling through the phone or Skype is tedious but, in my experience, the most effective channel. Store location. You’ve seen how Kale invited his audience to the location of his gym and filled it with posters of the equipment that made his audience feel like they’re in a real gym. If you’re starting any type of brick and mortar business, raising funds to start can be a few weeks away. Follow the steps we discussed in this guide and you’ll be off to a great start. Regardless of the channel, one of the growth strategies I found to be very effective entails building a Fan Group: 5-10 of your existing customers, friends and/or community members who work with you to infuse some virality in product launch. Day 1: Announce upcoming launch on social media. A tweet or a Facebook post that says something along the lines of: Watch out for [product name] and a tagline: the best way to solve X or Y. Day 2: Share a sneak peek of the product. Day 3: Share a reminder about tomorrow’s launch. Each person mentioning the product in at least two communities like Slack groups, Facebook groups, sub reddits or forums. Day 5: Each person writing and sharing a post about the product. Day 6: Each person sharing a video testimonial or screen sharing about the product. Day 7: Each person organizing a Meetup, Webinar or Facebook Live tutorial about the product. This launch sequence can be customized for pre-sales and complete product launches. As you’d expect, no matter how much each member in the Fan Group likes and wants to support you, most of those members will do 20% of the daily tasks and that’s still good enough to build traction and boost subscriptions or sales. Putting it all together, here’s your pre-launch framework in one image. I look forward to seeing your comments and answering your questions below. If you haven’t downloaded the supplemental material for this guide, here is where you can.